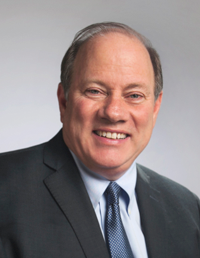 The City of Detroit recently announced that Mayor Mike Duggan will have his annual District 7 Community Meeting on Monday, August 20. This event will start at 7 p.m. at the Straight Gate International Church (10100 Grand River Ave.) and is expected to conclude at 8:30 p.m. This meeting is an opportunity for residents, business owners, and other interested parties in Warrendale and the surrounding neighborhoods to bring any questions or concerns they might have directly to Mayor Duggan in a public setting. Representatives from the various City departments will also be on hand. The annual meeting is required by the Charter for the City of Detroit, which mandates that the Mayor hold at least one of these meetings each year in each of the seven City Council districts. Anyone with any questions or concerns about our local government is invited to attend this meeting.